Portugal has long been the hidden jewel in Southern Europe’s crown. It is often overlooked for its more popular neighbors France, Spain and Italy, but this is changing. The world is now discovering this wonderful and vivacious country that lies along the west coast of the Iberian Peninsula facing the dramatic waves of the Atlantic Ocean. It has all that you would hope for from a European destination: warm weather, rich history, colorful culture, delicious food and warm, friendly people, and its capital Lisbon is every bit as cosmopolitan as the big hitters Paris, Barcelona and Rome. As an added bonus, it is very unusual to find anyone in Portugal who doesn’t speak English as a second language, so communicating while you learn the language is not a daunting task. The Portuguese know a thing or two about luxury too, as is evidenced in this selection of some of the most prestigious hotels that you can frequent in this fascinating country. I have chosen one of the best from each of Portugal’s seven distinct regions. Situated on the small South Coast of Portugal in the area known as the Algarve, the Algarve has been dubbed the Portuguese Riviera due to its white sandy beaches, opulent ports full of luxury yachts and the excellent selection of Michelin Star restaurants in the area. The Hotel Quinta Do Largo has no trouble fitting in to these prestigious surroundings. Its rooms offer the level of comfort one would expect from a five-star hotel and the amenities include tennis courts, indoor and outdoor pools, a gym, a spa and, of course, excellent restaurants. What really sets it apart from the rest is its location. 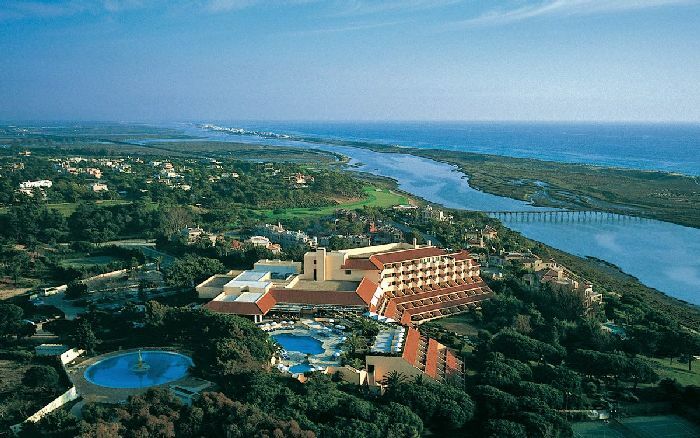 Not only is it directly on the beach and within walking distance of luscious golf courses, but you also have views of the Ria Formosa Natural Park tidal lagoon. The Ria Formosa is a 170 sq kilometer (65 sq miles) area of outstanding natural beauty that attracts thousands of exotic migrating birds every year. This natural wonder is worth a visit to the area alone and this luxurious hotel puts you on its doorstep. To find out more and book your stay, visit their website. The Alentejo region boasts the warmest temperatures in Portugal and as a result is the least populated. It stretches from above the Algarve from the Atlantic on the west and Spain on the east. Defined by the castles and medieval buildings that have been left behind by a succession of invading forces, this is an area of drama and beauty. In the northeast of this region you will find the breathtaking Torre de Palma Wine Hotel. Built on the original 1338 AD building, it is now the ultimate cool and contemporary five-star hotel with impeccable interior design that provides a chic contrast to the history of the building. The rooms of this establishment have been sympathetically designed with the original features highlighted while maintaining a modern and on-trend style. In addition to the usual features that one would expect to find in a place of this caliber you can also enjoy spending time in the hotel’s vineyard. This is the heritage of this site and it has its own winery filled with barrels of its own wine ready for you to taste. There are regular events designed to celebrate the area’s rich wine culture. If this were not enough, then maybe the Torre de Palma’s horse riding center would appeal to you. Here there is the opportunity to groom and ride the horses within the hotel grounds and you can arrange lessons too. There are so many reasons to make this your five-star stay in Alentejo that it is hard to imagine why one would choose an alternative. 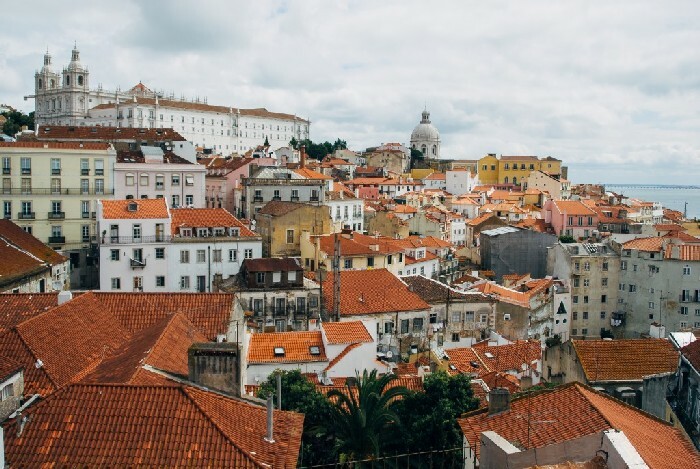 This area has been formed along the banks of the Targa River that completes its journey through the country by winding its way through the majestic city of Lisbon. This area is rich with history and culture while boasting a cosmopolitan city that is unrivaled in this part of Europe. Within the city you will find the obvious choice in an article regarding five-star luxury hotels, The Pestana Palace Lisboa. This hotel was the home of a 19th century nobleman and was declared a national monument in 2001. With 193 rooms and four suites, it is definitely an impressive size, but it is the luxury and setting that really impress with this hotel. Surrounded by its own exotic private park, this palatial building with its tall windows, original features, cupolas, terraces and balustrade balconies commands views of the Tagus River and Lisbon. Staying here will give you access to luxuriously decorated sitting areas, indoor and outdoor pools, Jacuzzis, spa treatments, fine dining and even, should you need it, a chapel. You will have no doubt that you have experienced extravagance and indulgence should you choose to see Lisbon from this remarkable residence. North of Lisbon and south of the Duoro River is the region of Center or Beiras, as it is traditionally known. It contains a range of environments from the stormy Atlantic to the wild pine forests to the imposing Estrela Mountains. The springs and rivers that subsequently dominate this region have resulted in there being a number of spa towns available to visit. Here in the heart of the Bussaco Forest you will find the Bussaco Palace Hotel. It is a little like finding a royal fairy tale palace in the middle of an enchanted forest and you will not be disappointed, as the establishment more than meets the expectations. This is an incredible building with decorative Gothic styling set on a hill and reflected in glass-like pools. 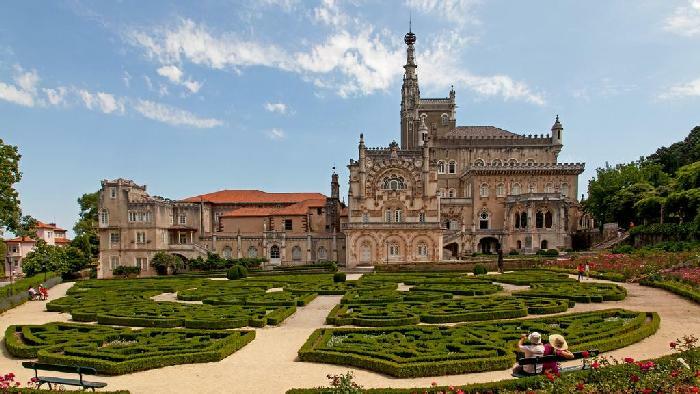 It is fit for a King, which is not surprising, as it was built for the last King of Portugal. The rooms are a perfect reflection of the history of this building and there is very little hint at modernity; instead, you will feel like you have stepped back in time and into the shoes of royalty. There are no pools or gyms here but the grounds, the surrounding forests and the history that you will be surrounded by more than justify the five-star rating that this place holds. Enjoy a magical trip through time at the Bussaco Palace Hotel. Porto is the largest city in the north of Portugal and gave its name to the country. It is a UNESCO world heritage site and this is visible on every street. The bright colors of the houses and buildings dripping in history are a sight to behold. 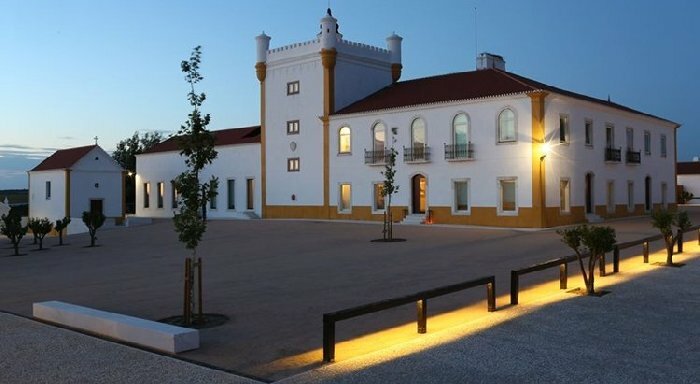 The region is dominated by the Duoro River, which runs through this ancient settlement, and on the banks of the river just outside the center of town you will find the Palacio do Freixo Hotel. The building is a visual delight of original baroque-style features, and the interior matches the opulence of its external splendor. Here you will find the majestic foyer that makes you feel like you have just entered a royal palace, and the public rooms are a place of wonder and amazement with the high ceilings, elaborate moldings and extravagant furnishings. The rooms equal the rest of the hotel in luxury and grandeur, but make sure you ask for one that looks out over the river, as it winds its way lazily past the hotel grounds. The hotel is five-star all by itself but in addition you will have access to the restaurant and bar, indoor and outdoor pools, fitness center and Turkish baths. If you are feeling adventurous, the concierge will be happy to arrange the hire of luxury boats, complete with crew, for you to enjoy the river and sights of Porto in style. Have no doubt that you can enjoy culture and luxury in equal measure, as this establishment has it all. Leave the west coast of Portugal and head southeast following the line of the coast around Morocco and you will discover the archipelago of Madeira, which has been under Portuguese rule since its discovery in 1419. It was one of the first places to be colonized by the Portuguese and you can easily see why it gave the ancient mariners a taste for it, as this collection of islands is truly magnificent. Here in the island capital of Funchal located amidst tropical gardens and white sandy beaches you will find Belmond Reid’s Palace. It is a veritable playground for the elite with rooms offering decadent luxury, tennis courts, a gym and not one but three swimming pools to choose from. If pools aren’t your thing then you can dive straight into the Atlantic from the purpose-built sea level platform. They’ve even considered the needs of the children with a team of childminders on hand and a soundproof technology room filled with games consoles for the teenagers, so nothing will disturb your peace! The options for dining continue to maintain the hotel’s reputation for elegance and sophistication with meals being prepared from local Madeiran produce in their Michelin Star restaurant. This hotel leaves nothing to chance and you can guarantee a taste of hedonism at this wonderful establishment. Head east from the west coast of Portugal and after 900 miles of sailing you will discover this tropical utopia. When it was discovered in 1427 as part of Portugal’s period of discovery, the Azores archipelago was uninhabited by humans. In fact, the first settlers brought sheep with them, which instantly became the biggest animal on the islands. Its remote location has meant that it has kept its beauty and has not succumbed to Westernized capitalist culture. As a result, there are technically no five-star hotels but that’s because the island itself is the luxury. There are one or two that stand out from the rest, and one of those is the Terra Nostra Garden Hotel. 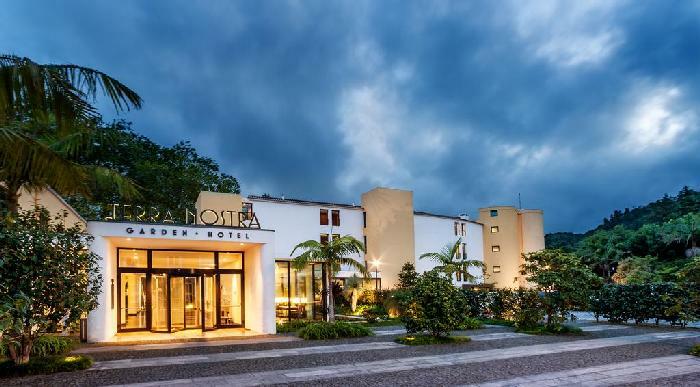 Found on Sao Miguel, which is the largest of the islands, this hotel has a cool, contemporary and minimal art deco style that is reflected in its selection of rooms. There are suites and garden rooms available for those wanting to experience a little more opulence during their stay. The Terra Nostra has all the facilities that you would hope to find in a quality establishment, including pools, games rooms, restaurant and bars, but it has a little something extra too. The hotel was built within the Terra Nostra Botanical Gardens, so you will be surrounded by 31 acres of lush greenery, grottos, pathways, exotic flowers, streams and lakes, but the most celebrated feature is the one that started it all. In the middle of the park is a natural geothermal pool, with its natural island at its center, and it is understood that this is what inspired the creation of the gardens around it. Formed from the basin of an extinct volcano, the pool is full of minerals that will help you to feel revived and refreshed after every dip, and hotel guests have unlimited access to the park and the pools. I think you’ll agree that this hotel may not have five stars, but this would certainly be a five-star vacation. This has just been a whistle-stop tour of some of the best that Portugal and its territories have to offer the luxury traveler today, and I hope that it has provided inspiration to discover more about this remarkable country. P.S. Have you ever visited Portugal? If yes, when and where?